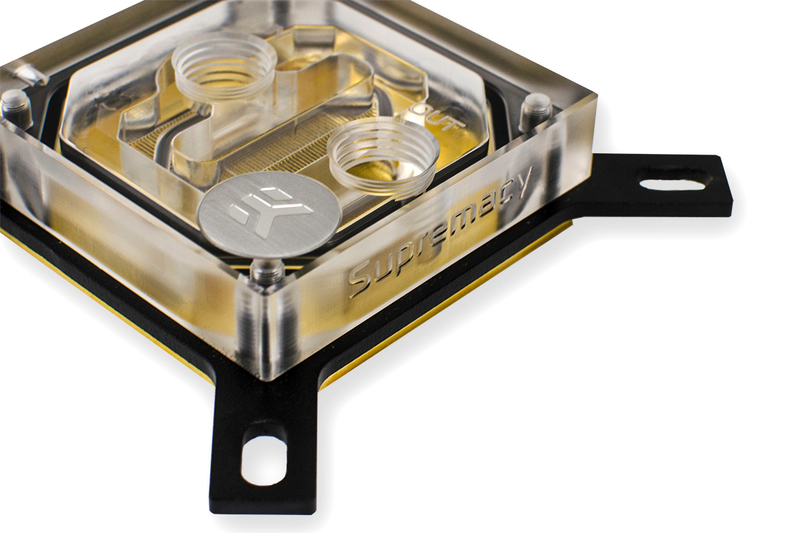 EK Water Blocks, Ljubljana based premium water cooling gear manufacturer, is proud to introduce the latest member of EK-Supremacy line of flagship performance universal CPU water blocks – the gold plated variant EK-Supremacy Clean CSQ – Gold. This gold plated variant is a perfect companion for the latest generation of black ‘n gold themed ASUS®, ASRock® and ECS® motherboards and also features gold-plated PreciseMount mounting mechanism to perfectly match this two-tone theme. Just like any other EK-Supremacy series water block it supports all current Intel- as well as AMD socket type motherboards out-of-the-box. EK-Supremacy Clean CSQ – Gold comes with MSRP of 89,95€ (incl. VAT) and is readily available for purchase through EK Webshop and Partner Reseller Network. The EK-Supremacy cooling engine uses similar, yet refined – as per needs of modern microprocessors – fin design as its ancestor. 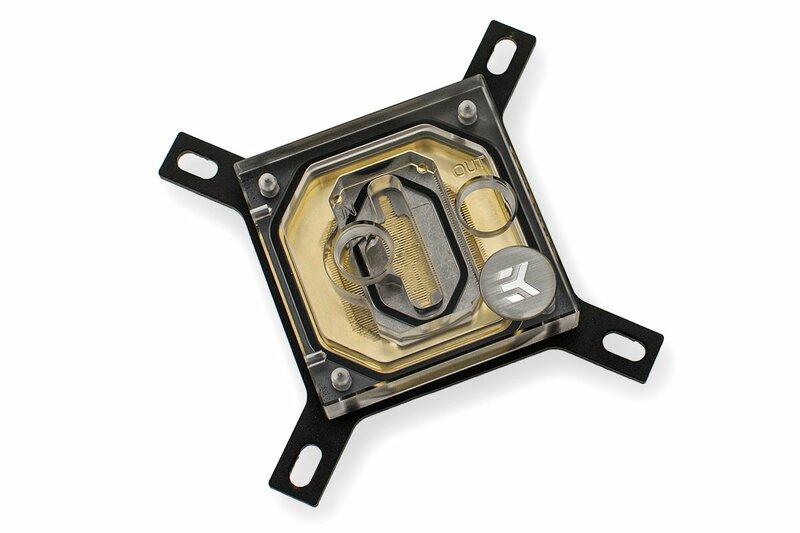 EK-Supremacy is the first CPU water block on the market which has been optimized for every modern CPU platform independently with the use of different type of jet plates to ensure the best contact with the CPU integrated heat spreader (IHS). 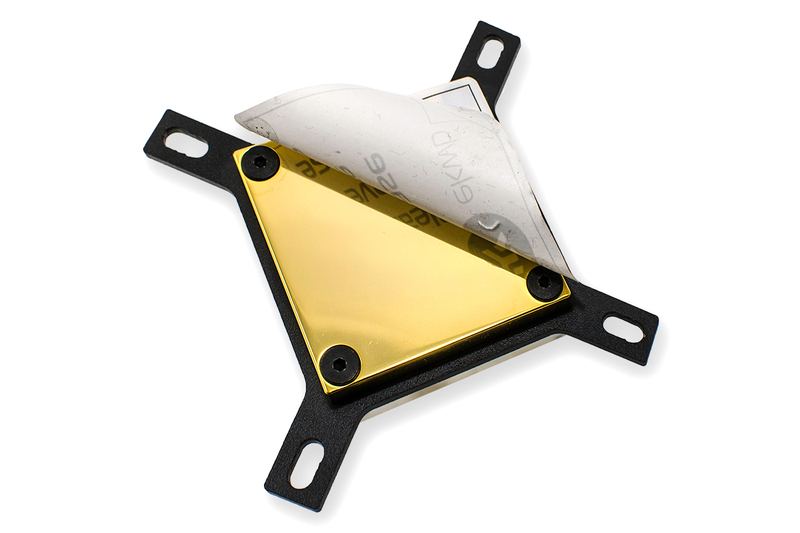 These jet plates of different shape and thickness are enclosed with the product.